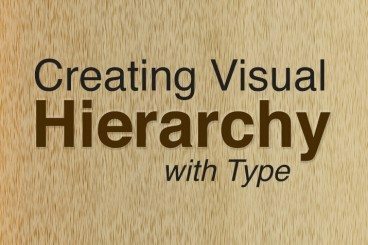 Almost every design project you encounter will include type of some kind. And it’s very likely that that type will start as a font on a computer, unless you create it yourself. 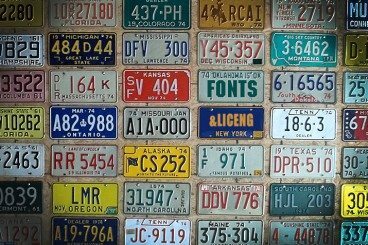 With using specific computer fonts, come some very specific rules regarding their use, which can vary by project. 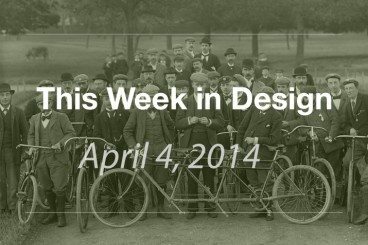 From a teen who made headlines about saving millions of dollars with a font to some of the most impressive design names of our generation, this week in design featured people who make an impact. Whether you like or agree with a theory sometimes does not mean as much as the simple idea that it gets people thinking about something new. Visual hierarchy is an important element in any design project. It tells people where to look and what things on the screen or printed page are most important. Hierarchy gives readers a sense of how to actually read material from start to finish with visual cues and flow. Without a doubt, the most beautiful character in the English language is the ampersand. 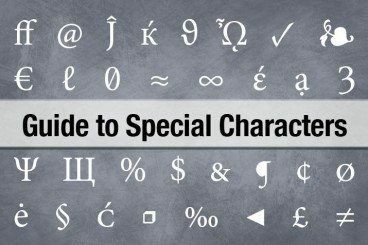 The single character comes in so many fashions – from the simple & to the casual E- to t-style representations. But where did this character come from? What does it mean? And most importantly how can you take advantage of using it in your design projects? 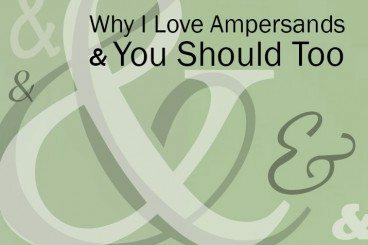 Here we will take a look at my favorite character from its history to uses and a gallery of great ampersands to inspire you. Text is not an afterthought in the design process. It should be your first consideration. 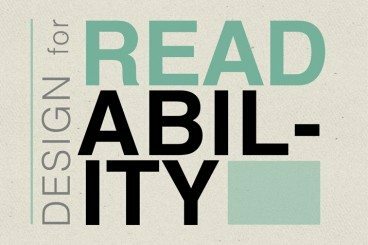 Readability should be one of the top concerns when it comes to any design project. If text can’t be read, then why are you designing in the first place? Good design delivers content in a way that is understandable; readability is a big part of comprehension. Today we’ll be discussing how you can plan a design around the words, so that your projects are easy to read. What’s the Deal With Em and Rem? 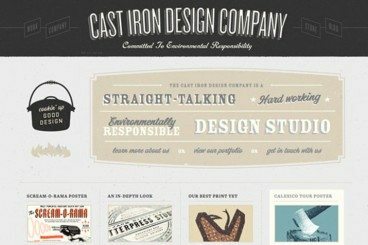 With all the talk about designing for responsive websites, two little words keep cropping up – em and rem. But what are they? Em and rem, along with pixels, are units and methods to measure and resize type. Em and rem are relative, rather than static, units and are being used more and more for responsive web design schemes. Let’s dive into this concept today and explain things a little more clearly! Mixing typefaces can be on of the most rewarding, and trickiest parts of the design process. Creating the perfect pairing of typography can result in a beautiful and perfectly readable outline for almost any project. But how can you get started? 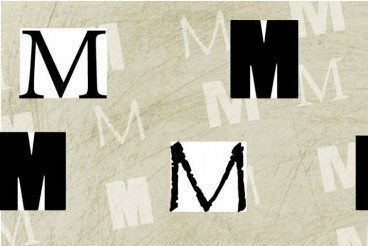 What should you consider when mixing typefaces? While the answers aren’t black and white, there are a few things you can do. Think about contrast, x-heights, shapes and slants and overall mood when combining typefaces for any project. In this article, we’ll be delving into each of these in a little more detail! As a designer, either working with a design firm or on a freelance basis, you probably know a lot about stress. From deadlines to redesigns, client relations to cash flow — it is part of everyday life for someone working as a designer in any capacity. But did you know your typography could also be stressed? 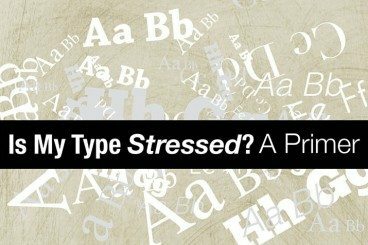 Just like in your life, type has certain pressure points, and there are good and bad types of type stress. In today’s article, we’re going to delve into this concept in a little more details. 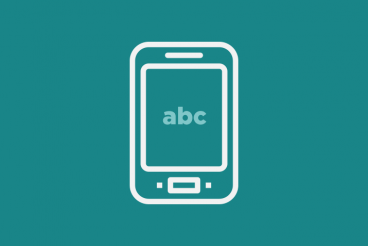 We’ll walk you through exactly what types of typographical stress there are, how you can ensure it doesn’t affect the readability of your designs. 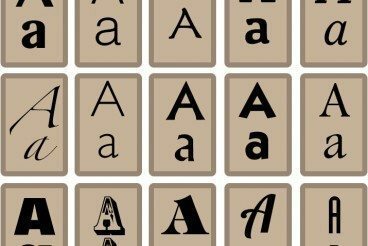 Most typefaces have more than just 52 letters – 26 uppercase and 26 lowercase. 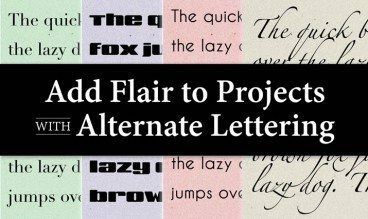 They also contain an assortment of alternate characters that can help add flair and interest to your typography. These special characters have been around since the beginning of type. Renowned typographer Johannes Gutenberg even used them in printing early copies of the Bible.